The Three's Company 40th Anniversary is coming up on March 15 and another network is getting in on the celebration. First we mentioned what Antenna TV is doing (a 40-hour marathon plus new cast interviews), now we will tell you what Logo TV is doing. Logo TV will air a marathon of Three's Company on the day of on Wednesday, March 15, 2017 from 7am-4am. It's all morning, day and night of Jack, Janet and Chrissy (and Cindy and Terri)! Logo has been airing Three's Company blocks since last May and the series has done well on the network airing alongside other classics like All in the Family, Soap and Mama's Family. Check your listings for timings everyday, but they always air it in a block. And of course Three's Company premiered 40 years ago on ABC on March 15, 1977 and featured John Ritter, Joyce DeWitt and Suzanne Somers as the trio living together. Sony Movie Channel puts the spotlight on the premiere of the rarely seen 1964 war drama Attack and Retreat on Wednesday, March 8, at 8 p.m. ET/5 p.m. PT. 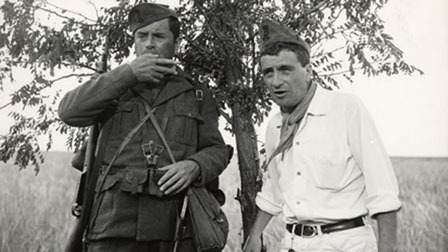 Entertainment icons Arthur Kennedy and Peter Falk star in this little-known true story, as Italian soldiers in Mussolini's army on a suicide mission to invade Russia during the Second World War. Directed by Oscar®-nominated filmmaker Giuseppe De Santis, the film gained acclaim for its exceptional realism—presenting the harrowing events from the perspective of the men in the squadron and painting a vivid picture of what life was like for the soldiers during this time, as inspired by the memories and journal entries of actual veterans. 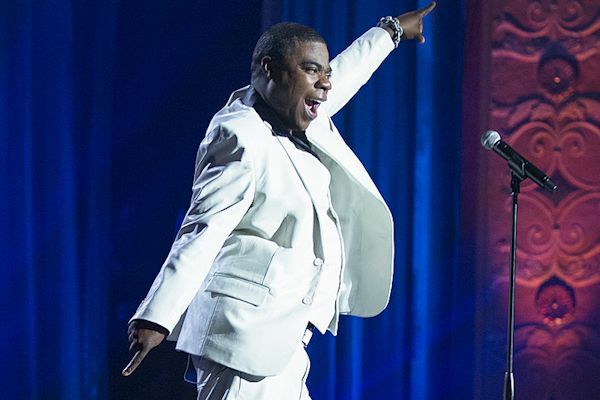 Tracy Morgan is making his much-anticipated return to stand-up with Staying Alive, an all-new comedy special exclusively for Netflix, the world's leading Internet TV network. The stand-up special, shot before a packed house at New Jersey's landmark Count Basie Theatre, will launch globally on Netflix Tuesday, May 16, 2017. Tracy Morgan's Staying Alive finds the comedy icon exploring his fresh take on life, career and mortality in the wake of surviving a devastating near-fatal traffic collision in 2014. From coping with a traumatic brain injury and learning to walk again to "falling for" his physical therapist and deciding that maybe getting older isn't such a bad thing, Morgan is back in true form and tackles the most trying time of his life with grace, strength and the jaw-droppingly hilarious point of view fans have grown to love. Households: #1. CBS 4.97/9 rating/share (-1% in rating from first four nights week 22); #2. NBC 3.61/6 (+10%); #3. ABC 3.12/6 (-8%); #4. Fox 2.45/4 (even); #5. The CW 1.03/2 (+26%). Total Viewers: #1. CBS 8.000 million (-1% from first four nights week 22); #2. NBC 5.875 million (+13%); #3. ABC 4.981 million (-5%); #4. Fox 3.928 million (+1%); #5. The CW 1.708 million (+28%). We have previous week's final ratings, Week 22 (2/13/17-2/19/17, LIVE+SD). ABC won the week in A18-49 and did a 1.18 rating. CBS was #2 with a 1.08 rating. NBC was #3 with a 0.98 rating, while Fox was #4 with a 0.82 rating Among total viewers, CBS of course was #1 with 7.546 million, with NBC #2 at 4.611 million. ABC was #3 with 4.494 million and Fox at #4 with 2.867 million. For season to-date (9/19/16-2/22/17, LIVE+SD), NBC is 1 in A18-49 with a 1.99 rating, followed by Fox at #2 with a 1.95 rating thanks to the Super Bowl and also heavily inflated by a high 7-game World Series. Without those 2 events, Fox would be #4. CBS is #3 with a 1.54 rating and ABC at #4 with a 1.24 rating. Among total viewers it is CBS #1 at 8.451 million, followed by the dropping NBC at #2 with 7.539 million. Super Bow/World Series boosted Fox still at #3 with 6.245 million as ABC is #4 with 5.118 million.